Mark Davis is the Managing Member of Maryland Trust Title & Escrow, LLC. Mark has extensive experience in real estate law. Because of that, he is committed to providing superior real estate settlement services through Maryland Trust Title & Escrow, LLC. If the real estate transaction involves a probate estate, the Estate Planning & Probate Practice Group is available to provide additional counseling or representation that may be required. In addition, Mark is the Managing Member of Davis, Upton & Palumbo, LLC. He focuses his law practice in the areas of Real Estate, Corporation and Business Associations, Land Use & Zoning and Wills, Powers of Attorneys and Probate Estates. His extensive knowledge of Calvert County’s Comprehensive Plan regarding Agricultural Preservation, Environmental Protection, Critical Areas, Town Centers, and Land Use & Zoning Ordinances place him in high demand as experienced counsel. Mark Davis is also the Broker/Owner of RE/MAX One with offices in Prince Frederick, La Plata, California and Annapolis. Mark believes in attracting and retaining the best agents by offering maximum compensation, advanced support services and freedom to succeed. Mark is also an instructor for Southern Maryland Association of Realtors. He regularly offers continuing education courses to real estate agents throughout Calvert County. 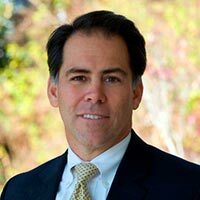 Active in the community, Mark is a two-time past president of the Calvert County Bar Association, and serves on the Calvert Memorial Hospital Foundation Board. In the past he has held key positions on the Calvert County Republican Central Committee and has served on the boards of Calvert Hospice, the Calvert County Economic Development Committee, the Calvert County Chamber of Commerce and The Calverton School. He has provided leadership and coaching for the Calvert High School Mock Trial Team, and has been a past speaker for Criminal Justice Seminars at Calvert and Northern High Schools.